virtual touch, how convincing is it? can it be better? 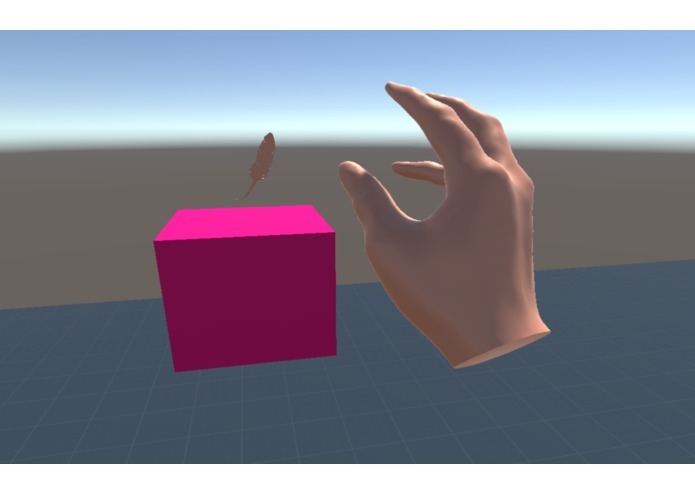 Users move around in the virtual space, touching things, like a feather, and experience different degrees of haptic feedback. The goal is to be as convincing as possible. I built the environment in Unity 3D. I programmed the Flora with Arduino IDE. I added C# helper scripts to make the two talk to each other. I wanted to have this work on an iPhone. iPhone adds bluetooth LE into the equation, but when I tried to compile the bluetooth script in xcode, I was repeatedly getting errors. building the Unity environment and getting it to interact with my hardware. sideloading iPhone apps, Unity, Unity and serial communication, LEAP Motion looks really cool too. Ideally this will augment real time communication. 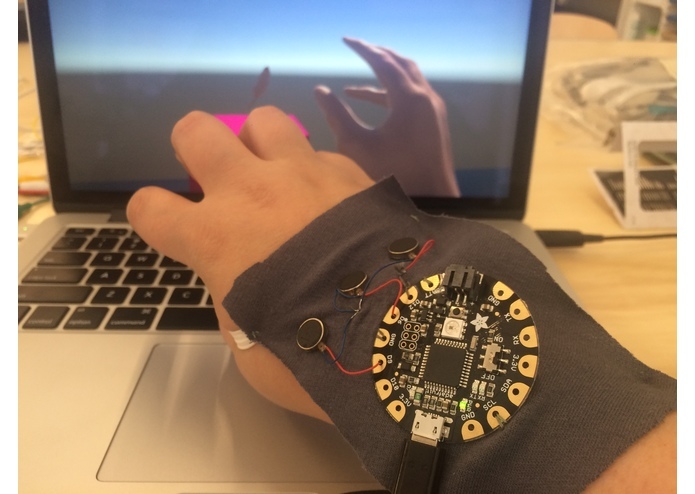 Maybe you are chatting with someone on Skype, and this kind of tactile communication is useful. Maybe you want to hold a loved one's hand across long distances. In both cases, the need for this sensation to work convincingly, rather than acting as an obvious cell phone alert, or rumble pack, adds tremendous benefit to the experience. It also eliminates the typical tech surfaces, metal, plastic, glass, which can sometimes act as a barrier to human communication. 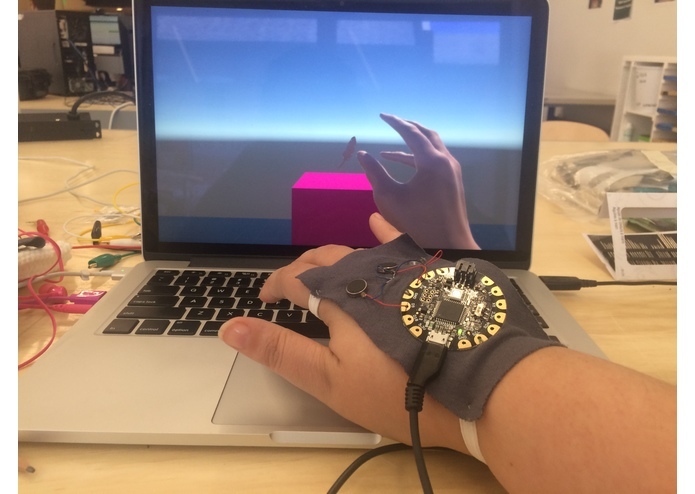 The haptic feedback needs a wearable glove (or something similar) that applies pressure evenly. Once I have this, it will be easier to control the vibrations against skin. I think the density/ firmness of people's hands will also effect this sensation.